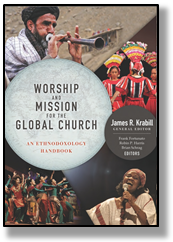 Worship and Mission for the Global Church: an Ethnodoxology Handbook + DVD Resources and Creating Local Arts Together: a Manual to Help Communities Reach Their Kingdom Goals is about a new reality. 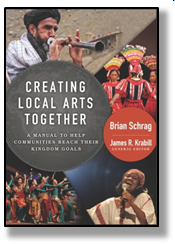 Imagining what God’s Kingdom would be like using all of the arts for God. 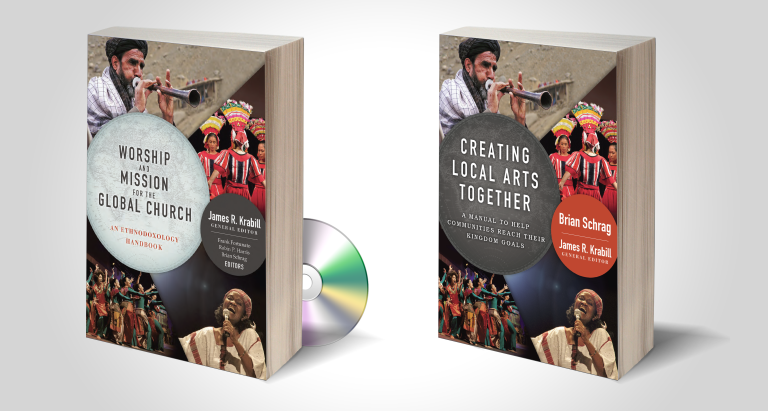 These two volumes offer theological reflection, case studies, practical tools, and audio visual resources to help the global church increase its awareness of and appreciation for culturally appropriate arts in Christian worship and witness. Decades of experience and fieldwork undergird these two volumes, envisioned and compiled by this foursome team (L to R): Frank Fortunato, James Krabill, Robin Harris, and Brian Schrag. In addition, over 100 other authors from 20 different countries provided and unprecedented gathering of knowledge into these two amazing books.